Success in solving problems in geometry can depend on being able to draw a clear, accurate diagram. 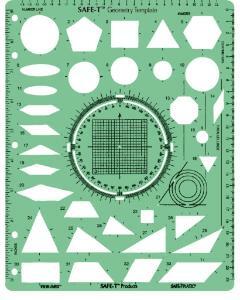 The SAFE-T™ Geometry Template can help you draw or copy complex diagrams found in all geometry textbooks. 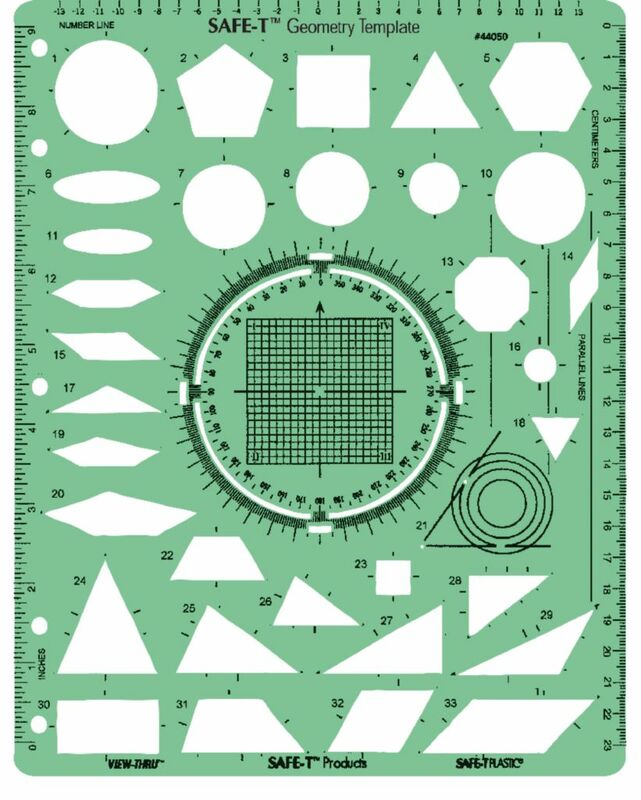 Draw items individually or in various combinations to create thousands of diagrams. Includes instruction guide. Size: 7 3/4" x 9 3/4".